 Kuaʻāina Ulu ʻAuamo (KUA) is an innovative, movement-building “backbone” organization that serves and connects the efforts of rural communities throughout the islands (KUA meaning “back” or “backbone”). We have been a kāko'o member of the Network since September 2016. KUA works to empower communities to improve their quality of life through caring for their environmental heritage together. We employ a community‐driven approach that currently supports a network of more than 31 mālama ʻāina community groups collectively referred to as E Alu Pū (moving forward together), 40 fishpond projects and practitioners called the Hui Mālama Loko Iʻa, and a new and growing hui of Limu practitioners from across our state. Check out our website and follow us on Facebook, Twitter, and Instagram.